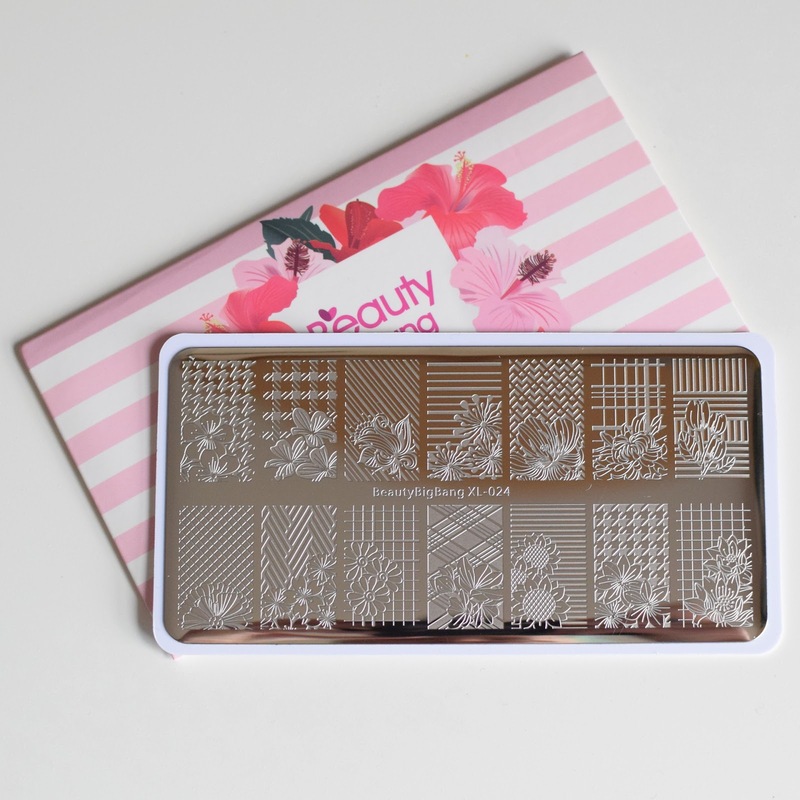 This post I have a really cute plate to show you by Beauty Big Bang, which is XL-024. I got sent this by BBB and instantly loved it. The plate has 14 full nail size designs which are all a combination of a pattern and a flower. I really love the possibility of this plate for people with short nails, like me. With most of the designs, I can pick up enough of just the pattern section (without the flower) and fit it over my entire nail. That being said this plate is great for most size/length nail, not just short. The designs have great to mix and match with, some are awesome for reverse stamping and make great accent nail designs. Depending on the colour polishes you choose to use with these designs, they are perfect so every season.